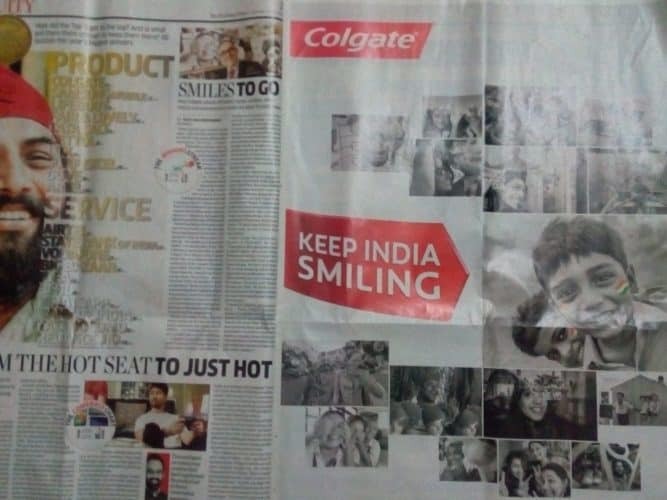 On the left page, article “Most Trusted Brand” saying brand ‘Colgate’ is at number one position and on right page, a full-page ad by the Colgate. Whatever but a good time and place for advertising the brand. 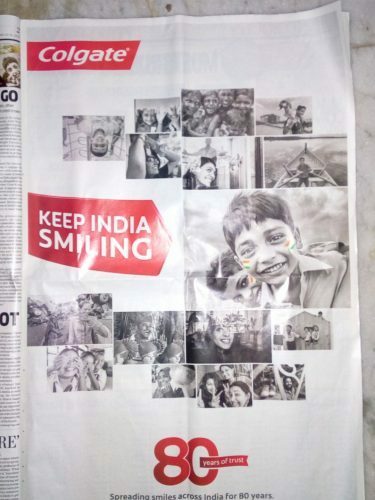 Print ad is still playing an important role.